My friends, Ed and Sue, gave me a couple of butternut squash from of their garden this year. I had never cooked or eaten butternut squash before so I was excited to try them. Everyone said that this was definitely a “keeper”. I probably will be making this every year now at Thanksgiving. Toss squash, sugar, butter, and salt in large bowl until well coated. Transfer squash to baking sheet. 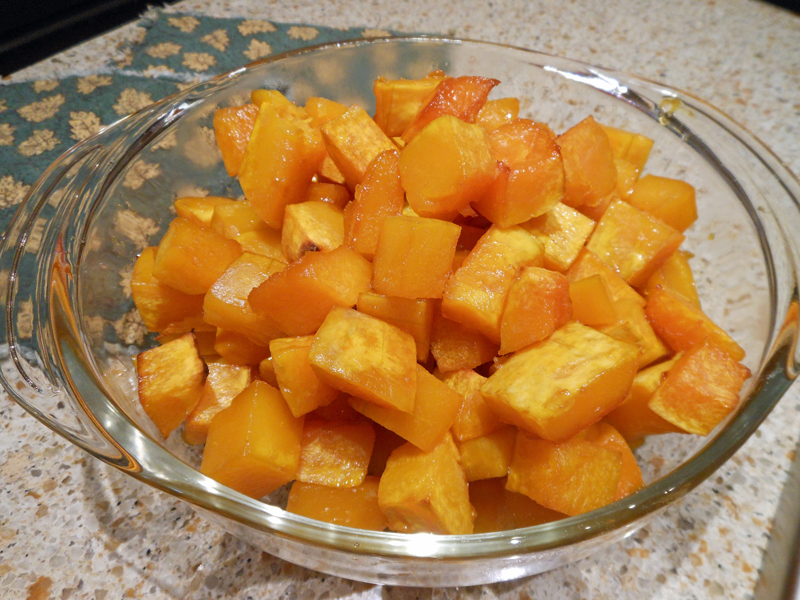 Roast, stirring every 15 minutes, until squash is well browned and completely tender, 45 to 55 minutes.